Being an entrepreneur is hard. Anyone who tells you otherwise is lying to you. Being an entrepreneur is also exhilarating. For those of you who are newbie entrepreneurs, I have a few mind hacks that you can use that will make it a little easier. Along with these mind hacks, you’ll still need grit and perseverance, but hopefully, these make the late nights, stress, and problems you face as an entrepreneur seem easier. Do work that you care about. Let’s dive in to explore just how each of these mind hacks will help you to become the best entrepreneur you can be and to avoid burnout. What do you do in the morning? There are a number of things that people do in the morning as they’re getting ready to walk out the door. No matter what your morning routine is like, create one and stick to it. Researchers found that 84 percent of smartphone users checked an app first thing in the morning. Getting out of bed isn’t easy for most Americans as most of them aren’t getting enough sleep (more on that later). Having a morning routine makes it easier to get out of bed. When you have a routine or a process, your mind and body automatically know what to do. Your morning routine also sets the tone for your day, so it’s important that it includes something that makes you feel accomplished and something that makes you feel happy. Most people’s morning routines are full of stress and involve rushing to get out the door. Is that what you want the rest of your day to feel like? Your sense of accomplishment might come from making the bed or doing 10 push-ups. Something that makes you happy might be reading the news while drinking coffee or meditating. Try to create a morning routine that creates happiness and satisfaction and that doesn’t force you into stress mode the minute you wake up. For many people, checking email first thing in the morning puts their brains in overdrive and makes the decision as to what they’re going to do that day. Don’t let the emails in your inbox make decisions for you. Know your morning routine and stick to it. We all know that we can’t multitask. It’s just not possible. And yet, many of us still try to do it. Every. Single. Day. It’s time to find a way to focus on the task at hand. I recommend reducing your use of social media and learning a focusing technique. Americans aren’t the biggest social media users, but we’re still wasting quite a bit of time on those sites. The average user spends 1.7 hours a day on social media. That’s almost two hours spent looking at photos, double-tapping, reading strange posts from friends, and other useless activities. As an entrepreneur, there’s always something better you can be doing with your time than spending it on social media. That it, unless you’re building your brand on social media, and if that’s the case, then go for it. If you’re a newbie entrepreneur and you find yourself spending time on social media, it’s time to add a new app to your phone. Look for an app that will allow you to measure how much time you spend on certain other apps and then set limits. Also, I’d like to note that social media might not be your problem. Maybe you spend too much time on emails, reading the news, or playing games. Whatever it is that’s your vice, find a way to control it. And those of you who are thinking right now that you don’t have a problem, it’s better to test it than continue thinking that way. Download a time-management app and find out just where you’re spending your time. Just because you believe that you don’t spend that much time on social media doesn’t make it true. Another great way to manage your time is the Pomodoro Technique. Set the timer, usually for about 25 minutes. Take a short break, usually for about 5 minutes. After four work sessions, take a long break, usually for around 30 minutes. The brilliance of the Pomodoro technique is that it requires intense focus for a short amount of time. During the 25 minutes that you’re focusing, you shouldn’t do anything else. So before starting your Pomodoro timer, move your phone away or into another room, close the tab where your inbox is, and just focus. Do only that one task and you’ll be amazed by how much you can do. Yes, yes, I know that this tip sounds like I’m from the stone age. But there’s something here, so hold your disbelief for a moment. You can type faster than you can write, but you don’t remember things as well. Writing something down on paper helps with memory creation. So the next time you’re in a big meeting and want to remember something, write it down. On an actual piece of paper. 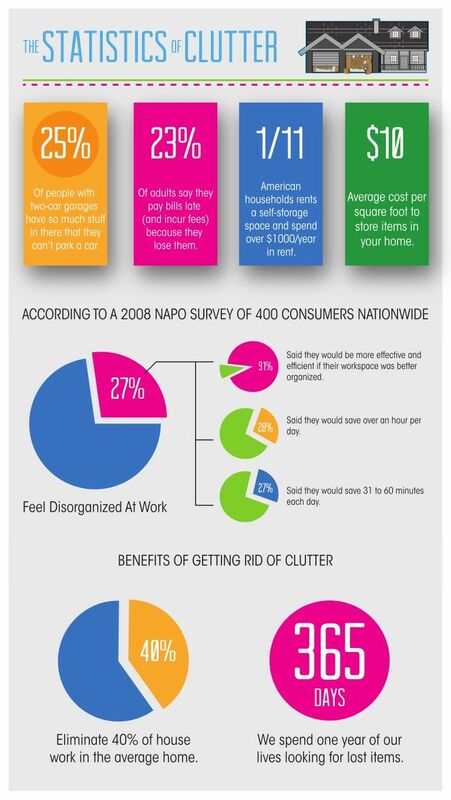 Clutter costs us time and money. Busy entrepreneurs don’t have the time, energy, or money to waste on unnecessary things, so, you might as well be a minimalist. Entrepreneurs are also always on the go, traveling from city to city on buses, airplanes, cars, and trains. Being a minimalist will make this much, much easier. And really, how much stuff do you need anyway? When you’re on the go, pack lightly. This includes just your day-to-day commute to the office and home. Keep everything that you can in digital form and make sure that your tech is light and easy to take with you. It costs just 47 cents a year to charge an iPhone 6. With that low of a cost, there’s no financial reason that your phone shouldn’t be charged. That, and your phone is your lifeline to your business. It will cost you a lot more dead than it will when it’s charged. When you’re an entrepreneur, you need to make sure that your devices are always charged and that you have access to the things that you need. Make sure that you’re always carrying a spare charger and a battery pack that can charge your devices. Some phone cases now back their own extra battery to make sure that your phone can withstand your daily use. Without charged devices, you can’t run your business. Information is key to every business. You need to make sure that you have access to the information you need when you need it. This means that you must have an organized digital filing system. On average, we spend one year of our lives looking for lost things. That’s a lot of wasted time that could be saved if we had an organized system. It doesn’t matter how you take notes or store information. Just make sure that you can find things easily and quickly. Decision fatigue is real. The more decisions you make in a day, the harder it becomes to make a decision. One of the easiest decisions you can get rid of involves grooming and clothing decisions. The average person spends between 28 and 46 minutes on grooming. This tip has been made famous by many in the tech industry, including Steve Jobs and Mark Zuckerberg. Both men chose and choose to not choose how they dress by having a standard uniform. When there’s only one choice of what to wear, you don’t have to make a choice at all. When everything in your closet fits, is work-appropriate, and looks good, you don’t have to think about what you put on. Just do it. You can also limit the number of decisions you make by prioritizing which ones are the most important. If that’s business decisions, then try to streamline everything else. Having a routine and a regular diet will also help limit decision fatigue. Being an entrepreneur is stressful. This may come as a surprise, but many people don’t know how they react to stress. And, if you’re thinking you’re not stressed, think again. Sixty-two percent of Americans say their job is their number one stressor. What do you do when you’re stressed? Some people eat more. Learning how to recognize how you react to stress will help you to create constructive outlets for that stress. Eating more isn’t a constructive outlet. Changing how you react to stress will make it easier to manage your stress levels. You will get stressed as an entrepreneur. It’s better to find a constructive way to manage the stress than to get burned out and give up. Thirty-five percent of U.S. adults don’t get the recommended seven hours of sleep per night. Entrepreneurs are stereotypically sleep-deprived, but not getting enough sleep can quickly affect your ability to work and think. If you think that you need to deprive yourself of sleep, think again. I make sleep a priority every single night, and I still manage to get everything done. Sleep helps you to manage your stress, weight, and health. Most entrepreneurs worry about time management, but I want to shift your thinking. Instead of thinking about managing your time, think about managing your energy. If you aren’t sleeping, you aren’t recharging your batteries. No energy equals no work — or, at least, no quality work. As an entrepreneur, you have to always be looking for funding, the next big idea, and partners to work with. If you don’t talk to people, how will you find those things? Much of what we do is now online and remote, but nothing can replace the importance of a face-to-face meeting. If at all possible, when trying to close a deal, meet in person. Entrepreneurs send cold emails, make calls, and strike up conversations with strangers every day. You never know where your next lead will come from, so always be looking. Many entrepreneurs have ideas upon ideas coming out of their brains — don’t let them just float away! Instead, have an idea journal. Your idea journal can take any form. Maybe it’s just a list of links, a sketchbook, a spreadsheet with notes, or mindless doodles. If you think you’ve come up with a good idea, write it down. Your idea journal is not just a way of recording your thoughts. It will also act as your inspiration. The next time you’re feeling uncreative, unmotivated, or like you don’t have ideas, just open it up. Look through all of your ideas and see if one sparks something. You can either be a learner or a knower. A learner is someone who is continuously curious. Entrepreneurs are often put into a setting where they need to be the expert and must be confident in the things that they say. You might be thinking that a learner mindset is antithetical to being an expert, but it’s not. Being a learner means that you’re interested in what other people have to say, willing to admit when you don’t know something, and able to learn new things. Learners network with everyone, listen to all ideas, and know that they don’t always have the right answer. As an entrepreneur, you’re going to be plugged in all the time. With our phones in our hands, it’s almost too easy to send an email, check a text, post an update to social media, and swipe through Twitter to read the news. An astonishing 64 percent of people sleep with their phones within reach of their beds. And yet, research has shown that it’s not good for our health. Your business is important, but so is your health. Taking time to unplug is good for your mental and physical health. I’m not suggesting that you go camping for a weekend and leave your phone at home, but find some time when your phone isn’t right next to you. Try an app or a plugin that will help you to unplug if you find it difficult. You can now pause your email inbox with a Chrome plugin designed by Boomerang. Or maybe you move your charger into another room so that the last thing you see before bed isn’t your smartphone. Whatever you do to unplug, it can be small. We all need breaks from technology and business — even newbie entrepreneurs. Read, read, and read some more. Read anything and everything. Reading reduces stress, helps us to think of ideas, and is entertaining. It doesn’t matter what you read, as long as you read. You can read the news, entrepreneur blogs, magazines, books — truly, anything. Everyone needs help sometimes. Everyone. There’s often a machismo attached to being an entrepreneur. If you founded the business, you should know everything, right? We can all learn something new. Even I have mentors and people that I turn to for help when I need it. There’s no shame in asking someone else how to do something or to teach you how to do it. No one knows everything — not even entrepreneurs. To make it easier to ask for help, make sure that you hire people whom you respect, have good character, and that you generally like being around. You can teach skills, but you can’t change someone’s personality. If you don’t know something, don’t pretend like you do. That’s much worse than asking for help. Adopting a learner mindset will make it easier to ask for help when you need it. Yes, even entrepreneurs deserve some fun. Life is about balance. We can understand what good means without understanding what bad is. Entrepreneurs don’t start their businesses because they want to work too much or never have fun. They do it for job satisfaction and personal freedom. Balance your work with fun and you might be surprised how rejuvenating it is. Time off might remind you just how much you love your work. You might even miss work while you’re taking time off! If you care about your work, you’ll be passionate about it. There’s nothing that will burn an entrepreneur out quicker than working on a project 60 hours a week that he doesn’t care about. Choose something you love and the hard work, late nights, and sacrifices won’t seem like a burden. Many entrepreneurs run their lives from meeting to meeting, solving a problem here then there, and planning. Sometimes, you have to just stop talking and act. If your business is all talk, nothing will ever get done. And when you’re not talking, you’re thinking. And seriously, you don’t know where your next great idea will strike. Forty-one percent of entrepreneurs said they thought of their big idea while sitting on the toilet. These 18 mind hacks will help you to get into and stay in a mindset that will make you a successful entrepreneur. Even for those of you who aren’t newbies at being an entrepreneur, I hope that you were able to find some useful nuggets of information here. The majority of entrepreneurs are passionate about what they do and therefore are overworked. These mind hacks will help you to work more efficiently and get tasks done more efficiently. You won’t waste as much time finding the information that you need, hauling along stuff that isn’t useful, or fighting off a cold while trying to make a pitch. These newbie entrepreneur mind hacks will make sure that you’re a healthy and successful entrepreneur. What mind hacks do you use to keep yourself motivated and able to work hard?